As I noted previously, this is an “application for judicial review” – it tries to provide serious issues that justify a judge spending her or his time reviewing. Something like 20% of “applications” are granted by the court and most are dismissed. There are three steps to this process: the application, the response, and the request for hearing. The first and third are written by the applicant and the second by the government’s attorney in most immigration cases. Review by the Federal Court is a two-stage process. In the first stage, which is known as the “leave” stage, the Court reviews the documents related to your case. You must show the Court that an error was made in the decision, or the decision was not fair or reasonable. So what is critical at this juncture are the arguments. If the initial arguments are not very strong then the court will probably just dismiss them. It is ultimately up to the discretion of the court and thus the job of the applicant is to frame questions that will pique the interest of the judge reviewing the initial record. The medical officer made an error in law by failing to make an individualized assessment in deciding that I was medically inadmissible. The medical officer violated her duty of procedural fairness by failing to provide me with a fair opportunity to respond to her concerns. The medical officer failed to provide adequate reasons for her decision and this makes them unreasonable, particularly given that the same medical officer reached a different conclusion for a similar case with similar circumstances. Section 38(1)(c) of the Immigration and Refugee Protection Act (IRPA) is constitutionally invalid because it represents a Federal intrusion into the Provincially controlled arena of health care. Section 38(1)(c) of the IRPA is invalid because it violates section 15(1) of the Canadian Charter of Rights and Freedoms. While the arguments presented to back up these claims stretch for more than a dozen pages, these are the key arguments. The first three are, on their surface, sufficient to obtain judicial review. Particularly the third argument. In a previous case (known to my attorney) the same medical officer concluded that the applicant had failed to mitigate their excess demand circumstances by failing to show insurance to cover their needs. In my case, the medical officer states that insurance was immaterial. The first three arguments are likely sufficient to obtain review – they do seem to raise serious questions of procedural fairness. However, a finding in my favour is merely going to refer the case back to CIC for further decision making. The last two arguments are the more interesting ones. If either of these is adopted by the court, the entire basis for the rejection is discarded. While my case would be remanded back to CIC, there would not be anything further required for them to do for my original application. They would likely ask me for updated medicals and police clearance, but beyond that there wouldn’t be much of anything to decide. That would (from my perspective) be the ideal decision. I’m writing this a week before the Respondent’s arguments are due. I’m going to schedule it for publication AFTER they are due, simply because I don’t want to post anything that might compromise the case. Healthcare in Canada: Who is responsible? The federal government felt that the health of the population fell under the Peace, Order, and Good Government part of its responsibilities. This led to several decades of debate over jurisdiction that were not resolved until the 1930s. Eventually the Judicial Committee of the Privy Council JCPC decided that the administration and delivery of health care was a provincial concern, but that the federal government also had the responsibility of protecting the health and well-being of the population. What I find interesting is that when I look back at one of the seminal cases (Deol v Canada) the court specifically said that CIC had no obligation to advise the applicant of a provincial bonding program. If the Federal government is representing the interests of the province in making immigration oriented health care decisions who is responsible for advising the applicant of such a program? In other words, if CIC is the agent of the province in this case, how can they abrogate a reasonable obligation to advise the applicant of their option under the very laws and regulations they are purportedly representing? 1. Section 38(1)(c) of the Act authorizes the federal Minister of Citizenship and Immigration to make determinations involving costs of administering provincial health plans. Therefore, this section is invalid because it intrudes upon provincial health jurisdiction and jurisdiction in local matters under ss. 92(7), (13) and (16) of the Constitution Act. 1867. 2 . S. 91(25) of the Canadian Constitution Act authorizes the federal government to regulate naturalization and aliens. 3. S. 92(7), (13) and (16) of the Constitution Act. 1867 provide provinces with the authority to regulate health care and jurisdiction over local matters. 5. Regardless of whether the Immigration and Refugee Protection Act as a whole is valid immigration legislation, it may contain provisions which are neither valid immigration provisions, nor ancillary to immigration provisions. An invalid legislative provision is not rendered valid because it is included in a legislative scheme that, viewed globally, is valid. The proper approach is to rigorously scrutinize what each provision says and does. 6. S. 38(1)(c) of the Act, in pith and substance, involves the federal government in regulating the cost of provincial health care. As such, it is ultra vires the federal government. 7. Regardless of whether the Immigration and Refugee Protection Act as a whole is valid immigration legislation, it may contain provisions which are neither valid immigration provisions, nor ancillary to immigration provisions. An invalid legislative provision is not rendered valid because it is included in a legislative scheme that, viewed globally, is valid. The proper approach is to rigorously scrutinize what each provision says and does. 8. The purpose or ” matter” of s. 38(1)(c) has been acknowledged to be “to reduce the impact on Canada’s publicly funded health and social services from excessive demand”. Unlike s. 38(1)(a) and (b), which are concerned with protecting the health of Canadians from newcomers who could pose a threat, s. 38(1)(c) in pith and substance is designed to manage and contain the cost of provincial health programs. This is not a valid immigration law purpose. This is a provincial concern. 11. Deciding which newcomers are too costly for provincial health programs IS a provincial concern because it is a local matter requiring expertise regarding local conditions. For example, such an assessment requires detailed knowledge regarding how the health care system in a specific province is administered. Provincial authorities rather than federal bureaucrats are best placed to make such determinations. 12. Deciding which newcomers are too costly for provinces is also a local concern because it requires a balancing of the cost of the particular newcomer’s contributions with their expected costs. 13. In the Applicant’s case, for example, it is more appropriate for British Columbia to determine whether the Applicant is too great a cost for the province, taking into consideration that he resides there contributing to the local economy, consuming local goods and services. and paying taxes to British Columbia. 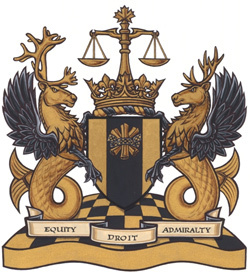 A system which allows a federal medical officer in Ottawa to make such determinations on behalf of the province intrudes into provincial jurisdiction over local matters. Last night I received a copy of the actual application that my attorney filed with the court. It’s 259 pages of material, some of which I’d never seen before – like the original notes from the medical officer‘s file. I thought it was interesting what was omitted from the file (some of the documents that were filed with the case) so I’m not sure what the rationale was for including or excluding specific information. Be that as it may, the application record contains the bulk of information that was provided to CIC as well as information received from CIC. After reading the basic rationale, I would assume the lawyer assigned to this case for the Respondent will have some work to do. The fourth argument is novel and has not previously been considered by the court, although there is plenty of case law pertaining to the separation of powers in the arena of health care. The fifth argument is one that remains unsettled in Canadian jurisprudence. It is, however, the last two arguments that are the more intriguing. The separation of power’s argument has a reasonable counter-response: to cite to the British Columbia/Federal agreement allowing the Federal government to make medical decision on behalf of British Columbia with respect to immigration. (See canada bc immigration agreement for a copy of the 2010 agreement.) It is a bit vague, but it is reasonable to argue that this grants the Federal government the authority to make decisions on British Columbia’s behalf. There is a trap here however: first, the agreement requires that BC and CIC have drafted mutually agreed upon standards – and I haven’t been able to find them yet. Second, and perhaps more dangerous, it would make the Federal government liable under British Columbia human rights legislation. The idea here is that a government cannot abrogate it’s legal obligations by contracting with someone else to discharge its duties. In theory then, it should be possible for me to bring a provincial human rights complaint (denying access to services based upon disability) against the Federal government. If they then argue that they are immune from such, it would seem to create a very untenable position – they claim to have the right to exercise provincial authority in one context, yet deny the obligation to abide by provincial law in another context – both involving the same case? The Charter argument has had plenty of time to ripen – it does not appear to have been argued in recent memory and there’s been quite a bit of development in the intervening years. The arguments the attorney put forward are actually well-developed. I was actually a bit concerned when I finished reading the legal arguments: they seem to be sufficiently interesting that I now rate the likelihood of judicial review happening at about 40% – there’s enough here to pique the curiosity of a judge. My thinking is that if you’re given a stack of applications to review, most of which are refugee applications, and then you find one that appears to have some interesting potential arguments, you’d be inclined to grant the application. At least that’s my hope. A positive decision on narrow grounds would simply return the file to CIC for further consideration. In that case, with two applications in process, I’ll gladly take the one that comes first. A negative decision on this application won’t affect the application in process. A positive decision on broad grounds would be interesting – it would remand the decision to CIC after having invalidated this section of IRPA. Thus, it would seem that the visa office would have to issue the PR visa (and in fairly short order, since all other criteria were satisfied.) As I have mentioned before, there is a certain level of notoriety with a successful decision. I’d have to expect an affirmative decision in this case on broad grounds would be exactly that sort of notorious decision. Over the next few weeks I’ll see what I can do to capture more information about some of the arguments presented and the rationale used. March 30: Respondent’s deadline. I expect them to respond and disagree with our position. I give a small chance to them assenting to the first points and disagreeing with the latter few points. If they do the latter, it would be tactical – assenting on the first few points could lead to a decision in which the judge remands the case back to CIC based just upon the written pleadings (and thus side-stepping the Constitutional and Charter arguments.) I’m not familiar enough with Canadian Jurisprudence to know if this is even a reasonable possibility. So after spending the past couple of weeks traveling all over (mostly for work) I’ve now ended up at home (just in time to celebrate my birthday with my family!) My goal had been to submit my application prior to my birthday. Sunday and Monday were spent going over everything one more time. I split apart my overview letter into a series of discreet documents. I went through the checklist to make sure I had everything and to organize things. The final application was likely a bit over-done. Every page was inserted into a sheet protector. These sheet protectors were in turn included in a 3″ binder. The front of the binder had both our names and pictures on it. Each critical section of the application had a separate tab, independently labeled to make it easy to find each document. I also included a complete copy of everything in the application in a separate envelope – no staples, no paperclips, nothing. Just in case they don’t like the binder approach to things. The entire package was 5.2kg (11 lbs). It was shipped out on Monday March 5, 2012 right at the wire – 4:45 pm (cut-off time.) 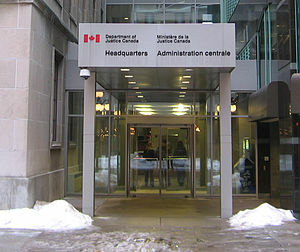 It was delivered on Tuesday March 6, 2012 at 10:35 am to the mail room of the Case Processing Centre in Mississauga, ON. Currently, the CIC website indicates that it takes 55 days before they open a new application after receipt (8 weeks) although that’s certainly subject to change. But assuming that schedule, they should open the application around May 1. Hopefully we will hear that the sponsor has been approved by the end of May and the file then transferred to Buffalo, NY. So, let’s hope they log it in by the middle of June. In parallel, the judicial review should be moving forward. Decision on whether to grant review or not would be due in roughly the same time frame: early to mid June. At this point I’m not expecting review to be granted (it seldom is) and if granted a positive determination seems unlikely (looks like about 20% of review cases result in a determination for the applicant.) So, 20% chance of being accepted review and a 20% chance of success would yield a 4% chance of success this way. Not outside the realm of possibility, but not the kinds of odds on which one should base one’s life.